We all have tight spaces around our yards. You know the ones. It’s the little nook or cranny that gets some sunlight during the day that is lying dormant, overgrown with weeds. Others may just have a little space that has been allocated for an outdoor living area. Believe it or not, these areas are perfect for growing a large range of food, mostly in containers, or in existing landscaped garden beds. Not all vegetables need full sunlight, in fact some actually suffer or bolt to see when they get too much. Lettuce varieties are a good example. They love partial sun and a couple of hours are all they need. But, I am getting ahead of myself. Here are three ways to start growing in small spaces. Just about anything that can hold soil can be used to grow food as long as you can ensure adequate drainage. You can reuse some of the most unlikely items such as old buckets, laundry tubs, Bathtubs, or make your own portable planter boxes. 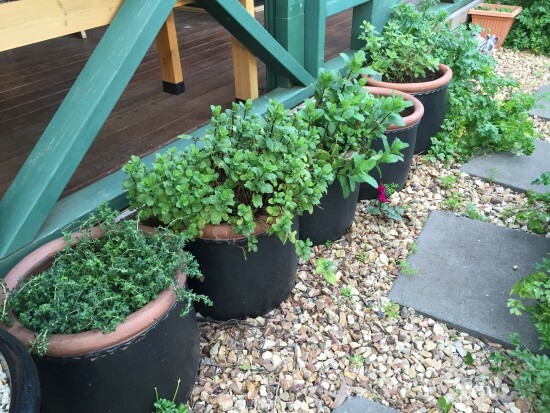 Of course you can buy large pots as well but sometimes cost is an issue. I tend to stay away from plastic pots because they don’t biodegrade, and exposure to UV light makes them brittle and break. I have many glazed clay pots of various sizes, the larger the better. The larger the pot, the less likely the soil will go dry in between watering. While we are talking about soil, the nutrients in potting mix tend to become exhausted after each season, so before replanting, I refresh it with a couple of handfuls of homemade compost and a handful of blood and bone or pelletised chicken manure then dampen with water. I ensure that it is well mixed and rested for a week before planting in seeds or seedlings. By using this method we have healthy potted herbs or vegetables every year. 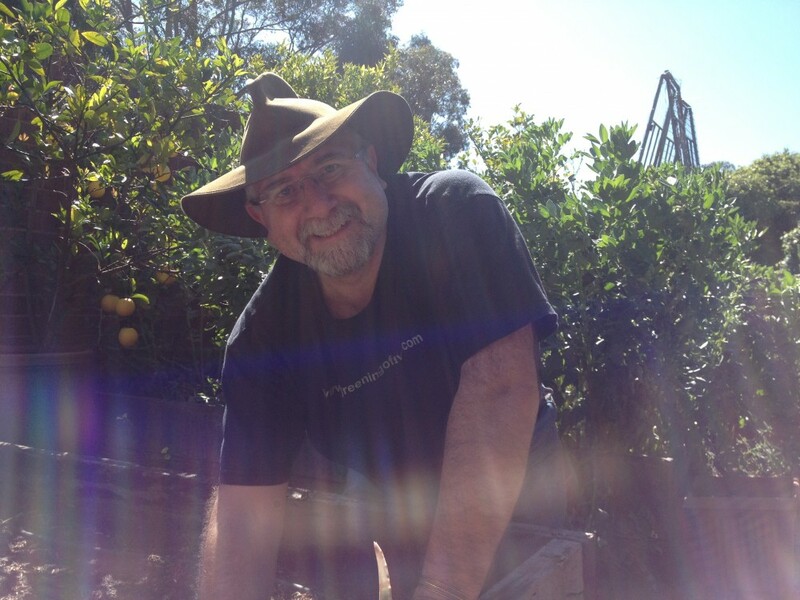 We also grow citrus in large pots, but I will cover that in part 5 of the series when I cover fruit trees. Wicking beds are becoming increasingly necessary in our hot dry climate. With little spring rains, we have to use methods that preserve and minimise water usage, all the while keeping crop yield steady. Portable wicking beds are very simple to make, and prevent your soil medium from drying out. A wicking bed can be as simple as getting a plastic tub or large wooden planter and lining it with pond liner or builders plastic sheeting, then laying in a watering pipe and overflow pipe, half filling with scoria or gravel or even sand, adding a non-degradable textile layer, then filling with compost or good potting mix. I’ve even seen polystyrene boxes used as mini wicking beds, though I haven’t used these myself as they’re not recyclable. 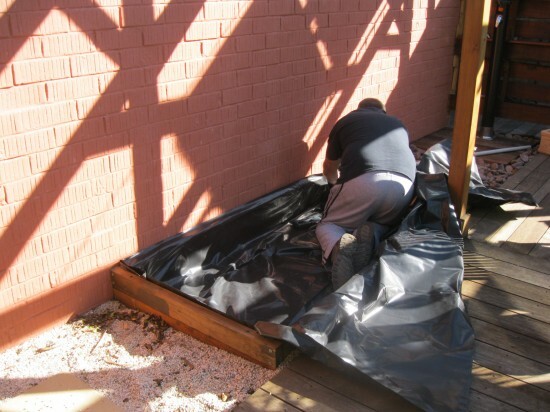 You can see an example of in this post titled “Building a Wicking Bed on Concrete“. Just scale it down to container size and you get the general idea. It works really well and is shaded for half the day, so salad greens thrive in this bed because there is a continuous supply of water. 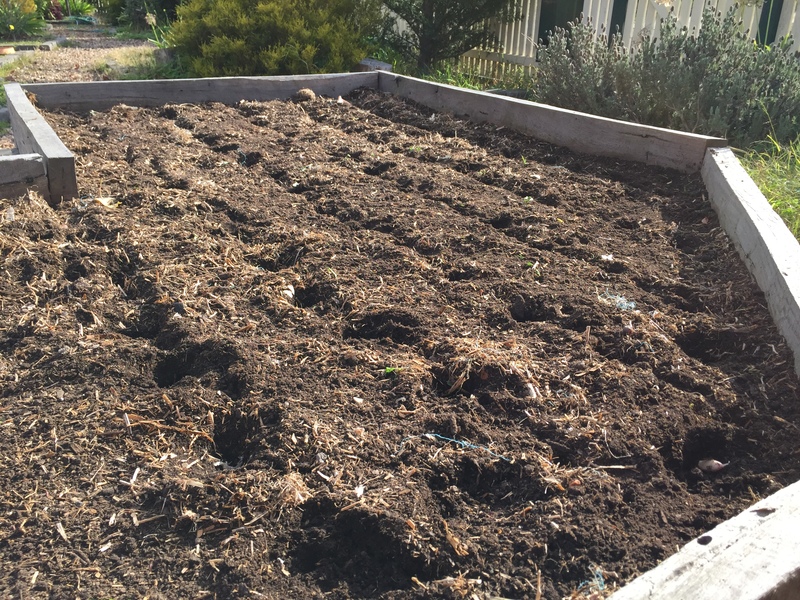 Veggies planted in this bed tend to be slow when bolting to seed so you get longer cropping. 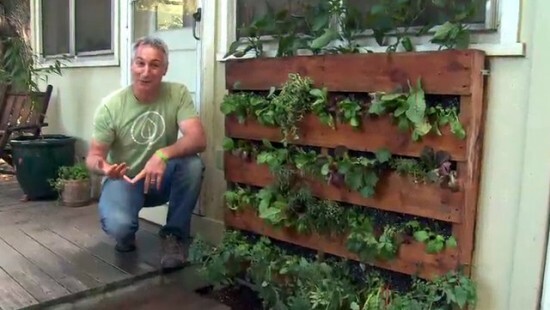 Using wooden shipping pallets is a great way to upcycle and grow some food. I’ve seen excellent examples in small gardens of these being used for planting out herbs and salad greens. These pallets just need to be stood vertically, have a bottom placed across each section of board and have a few drainage holes drilled, and it’s ready to plant out with good potting mix or compost. Here are some fantastic step-by-step instructions for a Pallet Garden from a TV show, Growing a Greener World, that I follow via the web. definitely a great idea for those who are pressed for space around their garden. I’ve also seen wooden pallets laid down on the ground, filled with soil, and used as a raised garden bed. Just make sure that the pallet is not made of treated pine (CCA) or otherwise you risk copper and arsenic leaching into your soil. So there are three methods of growing vegetables in tight spaces that are cheap to implement and easy to maintain. The only thing I have to add is that you need to ensure that the soil is kept moist otherwise your plants will struggle to draw up nutrients. Oh, and keep them close by so that you will remember to pick your produce often. Think of this type of gardening as Zone 0 in your suburban permaculture garden! Can you think of any other ways to grow veg in tight spaces? Staycations are the new green holiday that you have when you spend your annual vacation at home. I think that staycations are often overlooked for the preference of the next exciting holiday or overseas trip. Someone asked me the other day why I don’t go away much, so I thought long and hard about the benefits of a travelling holiday vs a staycation. And do you know what? I personally prefer them for a few reasons. They are much better for the environment and for you as well. Let me list a few for you. When you have a staycation instead of taking a long trip either by car or plane, you don’t emit any additional GHG in the process. It is an unfortunate fact that if you do take any sort of trip by car, train, or plane either domestic or international you usually blow a whole lot of carbon emissions into the atmosphere. That’s no good for anyone. Yes, you can carbon offset, but how many people actually take this additional step. Not many I would think. 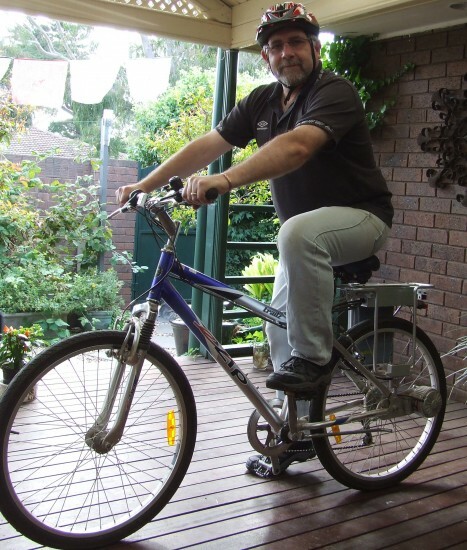 Whilst you’re home, why not jump on your bike and go for a ride? You may even discover some places around your town or city that you didn’t know existed! I don’t know about you, but I am stress-less when I am here at home. Pottering around in the veggie patch, pruning fruit trees, or even cleaning out the chooks are pleasurable experiences when on a staycation. 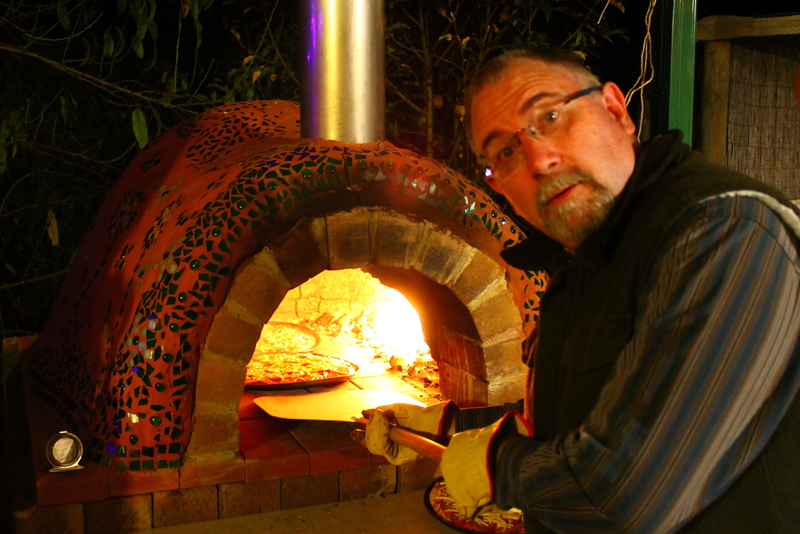 But look out when I fire up the backyard clay oven! That’s when the fun really starts and any stress from work just melts away. Pizza topped with home-grown garlic, with a little sea salt, and lashings of homemade mozzarella. Now that’s a good time! Throw in some home-brew beer and the staycation is completely stress free. A good staycation is very cheap indeed. You are already paying for rent or a mortgage on your home. So there is no massive budget blowout, no cost for accommodation, no cost for car hire or taxis, none for visiting theme parks, and of course no debt when you return home. I know of so many people who save a small fortune each year to go on their annual or even six monthly holiday, which could probably be better served paying down debt and helping them to retire much earlier. I also know of people who get into massive debt just to go abroad each year. Crazy stuff. In my bountiful veggie patch. Do a bit of gardening at home with your own saved seed to get instant gratification with no costs at all. It certainly beats going to the gym or any other holiday distractions. Sure you can visit the latest fancy pants eco-resort, but you still have to pay for it and travel there and back. Long haul travel is just so tiring and boring. How many times have you been on holiday only to be relieved to get home again wishing that you never went away in the first place? Save the disappointment and just enjoy the company of your own home. There is nothing quite as nice as sleeping in your own bed! Other cool things you could do on your staycation is to visit the local library and catch up on a few books that you’ve been meaning to read. Most people read a good book when they are on holiday, so instead of travelling thousands of kilometres, read it at home! Simple really. 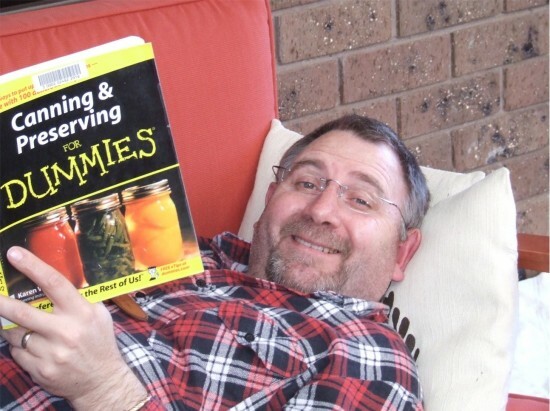 Nothing like a bit of light reading on the daybed whilst on staycation! So now that I have listed some of the reasons why I think that staycations are the new green holiday, it’s your turn to chime in. Have I convinced you yet? Let me know about your latest staycation in the comments, and why you prefer them. If you don’t agree, let me know why you think they are better for you and the environment than a staycation. Free holidays don’t count by the way. I would love to read your thoughts.